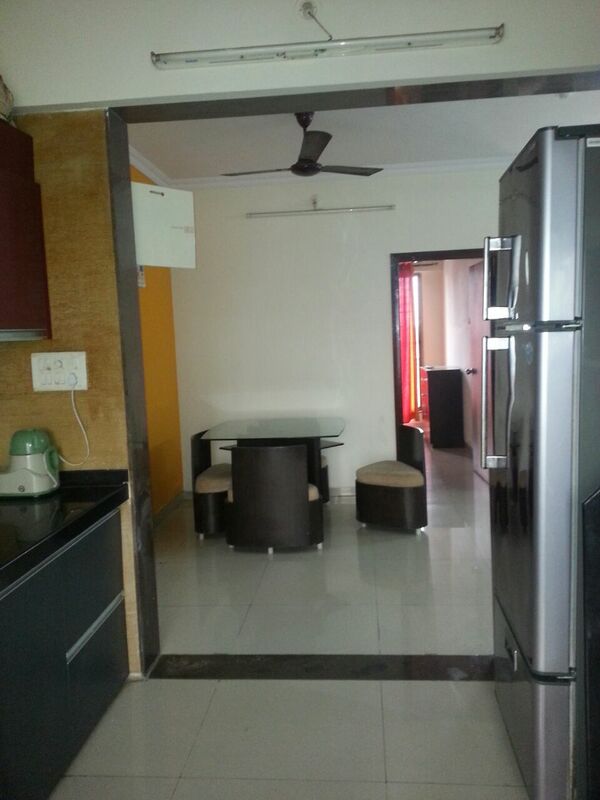 A fully-furnished,vastu compliant 2 BHK apartment with open kitchen along with modular fittings (Sleek) and Italian tiles. The apartment is well ventilated with two big balconies that are west facing and one east facing kitchen balcony. there is one covered parking, property is less than 8 year old and one floor has only two flats that ensures complete privacy. Please contact for more details. The apartment is equipped with TV, Washing Machine, Fridge, Split AC in both the rooms, Microwave along with other necessities.